People with wavy hair get the best of both worlds as you can straighten it easily with a high heat and you can create a curl that will stay out because you already have the natural wave in your hair already, which is why were searching for the best hair straighteners for wavy hair. You also naturally have that look that is trending in 2018 the beach wave, most girls are doing everything in their power to create this look it really is in the in thing ! 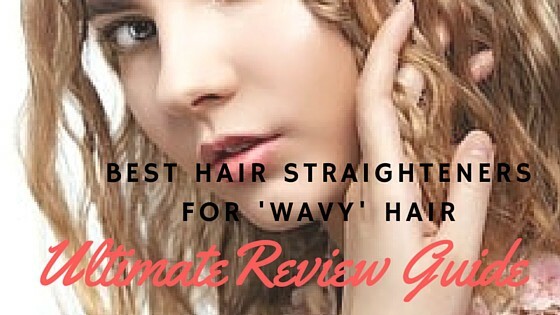 when you deal with the wavy out of control hair on a daily basis its understandable that you would want to find the best hair straighteners for wavy hair hence why we have created a guide for you to help you decide the best for your needs! The Remington S5525 Pro Straight Extra Wide Plate Straightener is a great option for straightening your wavy hair. Remington's Pro Straight Extra Wide Plates Straightener has Advanced Ceramic Ultra coating. This ensures even heat distribution and preventing snagging and hair breakage. Advanced Ceramic Ultra is now 75% smoother vs. surface of current Advanced Ceramic. With a great price bracket and all the necessary integrated features this is a great buy especially with a 3 year guarantee. If you would like to read the full review on the Remington pro straight extra wide plate straightener then click here. This product has a long lead. Some customers feel these take a little longer to heat up. Q. What is the width of the plates? We have the Jose Eber Hair straightener which is such a well trusted brand and is one of the most recognized brands in the hair industry. He has come up with a great design that eliminating the need to blow-dry your hair before styling. He’s the guy who was trusted by notoriously picky celebrity clients like Cher and Elizabeth Taylor to take care of their hair many years ago, and that has led to years of a well-known and trusted hair products. To finish of his line of products he has already received the Global Salon Business Awards Lifetime Achievement award in 2008, and he’s still doing well to this very day. Whether your hair is curly, wavy or long and voluminous, you can achieve a super sleep look with this pair of straighteners. The fact that you don’t need to use the hair dryer on your hair this means less style time and less exposure to hair harming heat, this is all around a better option the wet or dry works great on all hair types. If you would like to read the full review on the Jose Eber Wet to Dry hair straighteners then click here. No need to dry hair as suitable for damp hair. We could not find any negative feedback about this product...Bonus! 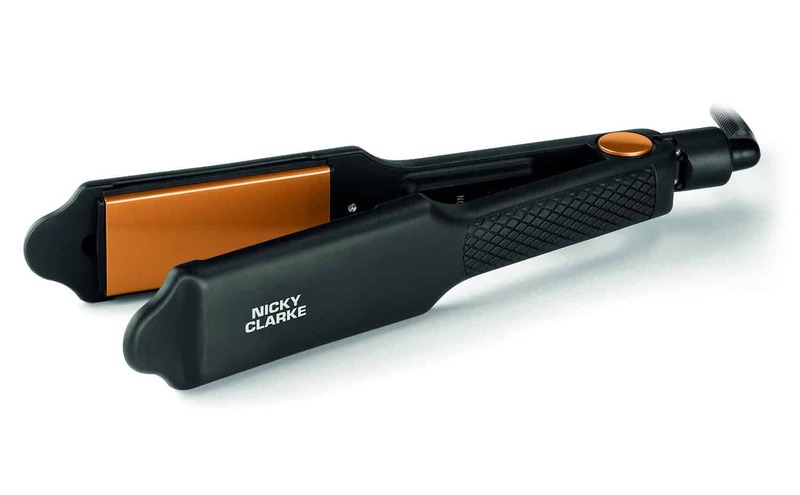 The Nicky Clarke Hair Therapy wide plate hair straightener is perfect for long and wavy hair. They have wider plates to cover a larger amount of hair in a shorter amount of time just what we all need, to speed up our hair routine in the mornings. The wider plates are also great for longer or thicker hair. Normally you would struggle to get some straighteners to style this type of hair this straightener makes light work of it. Tourmaline ceramic plates that are coated give a supply of negative ions that help lock in the moisture preventing heat damage caused by the majority of straighteners elevated rates. With this high quality plate, it will leave your hair frizz free and super smooth. Whether your hair is curly, wavy or long and voluminous, you can achieve a super sleep look with this pair of straighteners. If you would like to read the full review of nicky clarke hair therapy wide plate hair straightener. These straighteners have a really long cord and heat up instantly. There is only one heat setting on these straighteners. Are you looking for the best hair straightener for thick afro hair? 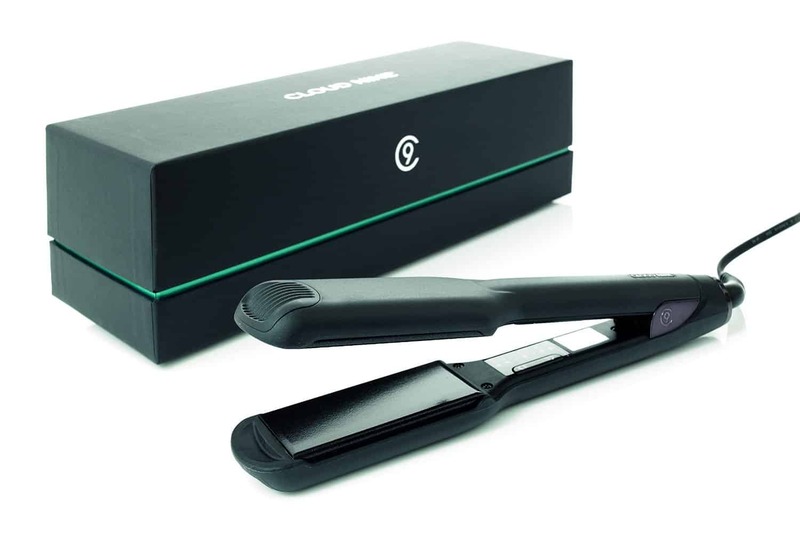 The Cloud Nine wide plate black hair straightener might be right up your alley. This is a device that delivers high quality features and a stellar experience all while offering you a unique design and premium packaging. ​The smooth and glossy black ceramic plates contain a special and mysterious ingredient to give your hair added shine and sparkle, each and every time you use your irons. Ceramic is a well trusted plate and give top quality results especially when you are searching for those tougher hair types, like thick or Afro-Caribbean hair. The black ceramic plates are offering a smooth gliding effect and the hair is shiny which is a major plus. It’s also cool to see that there's no damage to your hair, as we said you obtain incredible value from this device and that on it down does help to take the user experience to new heights. If you would like to continue to read the review for the Cloud nine straightener. Includes Embroidered Heat Resistant Luxury Carry Case & Protective Heat Guard. The on off button is small and a little close to the hot plates. The GHD IV Styler, this is without a doubt the most ground-breaking straightener that has the ability to style fast but with less heat. 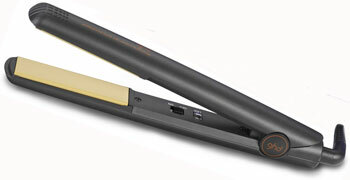 The GHD IV Styler was named “Best Flatiron” by Allure Magazine in their coveted Best of Beauty Awards. GHD IV styler offers unprecedented styling performance and delivers gorgeous shiny, healthy results that last up to 12 hours longer. 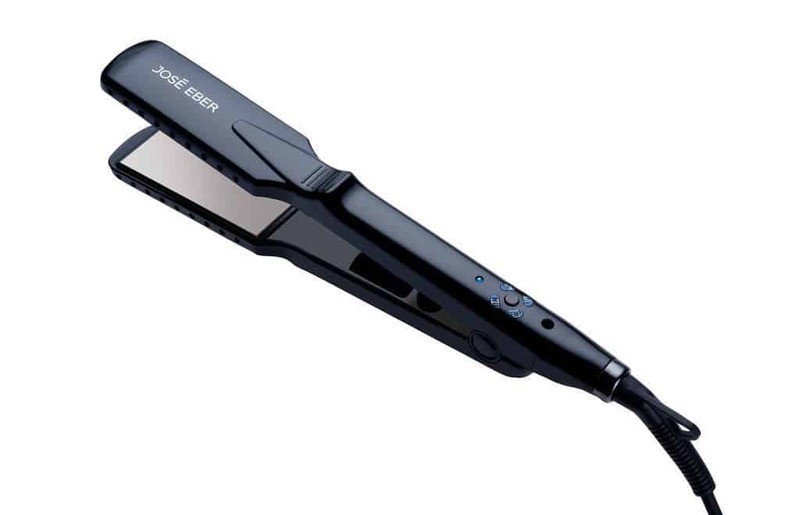 Although this is the higher end of the price range when considering the amount you want to spend on a pair of straighteners, at £100, these straighteners will show you the high end in the straightening range, it will be well worth the money. These straighteners are particularly good for all different types of styling due its round barrel which gives it the ability to create curls, waves and straight styles. This latest model of the GHD is well known for its ceramic heater technology plates which gives it the ability to make light work of styling the toughest textures, such as very thick, curly or afro hair. The high technology ceramic material plates, keeps the straightener at constant temperature to avoid hot spots which damages your hair. If you would like to read the full review of the GHD IV Styler then click here. Very lightweight with a really long cord makes them easy to use. We could not find any negative feedback for this product! For wavy hair though, your best option is almost always going to be ceramic plates and a high temperature setting. We hope we have narrowed it down enough for you to be able to have an idea on which straighteners to choose for your wavy hair.